Riddle me this: Why do people buy quarter-inch drill bits? There are a million possible answers to this question, but Leo McGinneva offers an interesting explanation: "They don’t want quarter-inch bits. They want quarter-inch holes." This is exactly what drives today's best marketing videos. This notion suggests that as consumers, we aren't after all the bells and whistles as much as the solutions they provide. In other words, we don't want to know what brands are selling -- we want to hear, read, and watch stories of people who have the same challenges we do. Not only has this mentality led to the demise of many traditional marketing practices, but it has also set the stage for more human interactions between brands and consumers. Why do these interactions work so well? Because they don't feel like marketing. 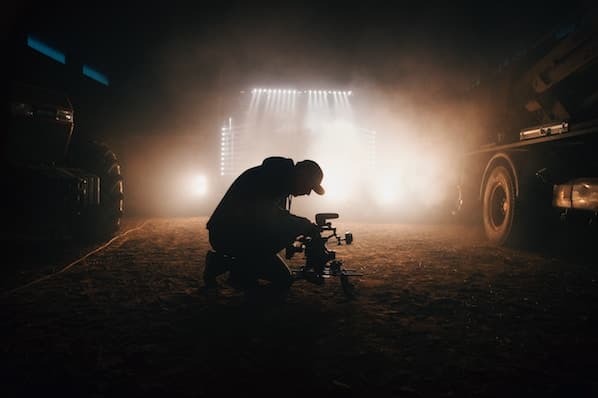 To help inspire your own video marketing efforts, we've rounded up 17 lovable marketing videos from the past five years. Go grab some popcorn. You won't believe some of these were created by a marketing team. Canadian Tire's 2016 ad, "Wheels," ran during the 2016 Summer Olympics, and turned out to be one of the most viral marketing videos of 2017. And it has something to do with why I cried watching it. Don't be afraid to show support for things that don't directly involve your business. It isn't just your goal to sell products -- it's your goal to associate with the best in your community. Reimagine your company in a way that shows why you do what do, and deliver that message at specific times during the year. Android's "Friends Furever" video is simple, cute, totally curated -- and was the most-shared video ad of 2015. Even the simplest of videos can be super shareable with the right subject matter. In this case, that subject matter is animals, which the folks at Android used to focus on shared experiences. 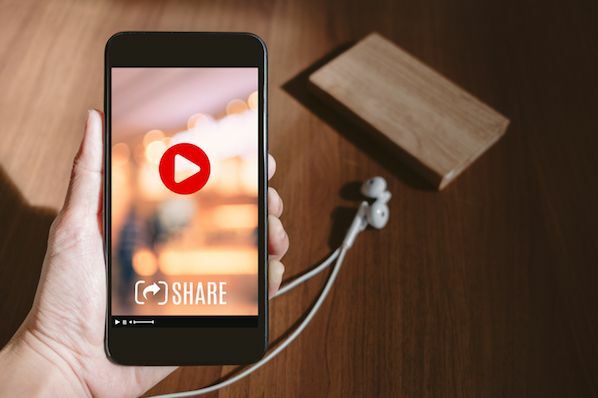 By tapping into viewers' emotions, the video has built-in broad appeal and shareability. 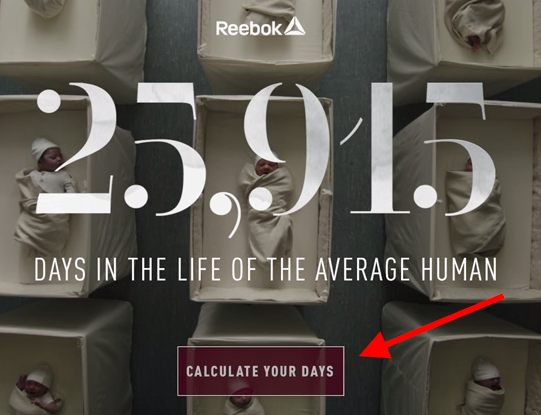 At the end of the video, there's even a clickable CTA that reads, "Calculate your days." Although it might strike some as a bid morbid, the copy is in keeping with the brand's "tough fitness" theme. Click the CTA, and you'll get taken to a campaign website where people can share photos showing how they're honoring their bodies, along with their "number." Pretty cool. Putting a sense of urgency (limited time) behind your message can be a powerful psychological motivator (take action now so you don't miss out). This makes your message not only compelling, but also actionable. You'll recognize a few names and faces in this marketing video -- the piece opens with a quote by Steve Jobs and is, ironically, followed by an introduction by Bill Gates. Sometimes, your field can seem intimidating to the ones outside it. 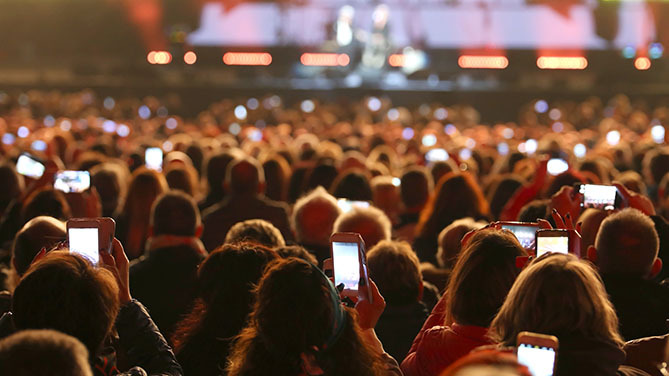 If you want to grow your audience, you need to level with it. Customers are looking at your business through the lens of the industry you're in. It's your job to lower the barrier to entry. This global marketing video comes to us from Alibaba, a multinational ecommerce platform based in China. Alibaba's global footprint is at least as big as Amazon's, but for those of you who aren't familiar with this brand, it made a heartfelt statement of loyalty to Team Kenya during the 2018 Winter Olympics in PyeongChang, South Korea. It can be tempting to target as many people as possible to get the most eyes on your business. But sometimes the most powerful messages resonate with the smallest audiences. Stick your neck out for an underdog, and you'll impress everyone else while you're at it. This might be one of the most uplifting holiday videos by a brand you'll ever see. Coca-Cola won people's attention by showing them a commitment to the season of giving. By doing something for others that has no tangible benefit to you, you'll appear more trustworthy, generous, and human to your customers. Don't be afraid to push the boundaries of your brand's image. Find ways to change the way you exhibit the various themes in your brand's personality, and experiment with different topics and formats that could help you widen your audience. They've gotten a lot of praise since the campaign began a few years ago and have since won an Emmy, a Cannes Grand Prix award, and the Grand Clio award. Marketing that empowers the consumer -- rather than making them feel inadequate -- resonates. Acknowledge those all-too-familiar human emotions like anxiety or self-consciousness, and turn them on their head. Aside from the small quip about getting your mom a card for Mother's Day at the close of the video, the bulk of the content is seemingly free of sales innuendo and product placement. Refreshing, right? Leverage a plot twist. When the audience can't predict the outcome, they'll be more likely to remain engaged throughout the entirety of your content. This series by Wieden + Kennedy and Nike Women uses honest humor to shed light on the "inner thoughts" women experience at the gym (though I'm certain there is a male equivalent to these types of situations). This instinctively human account provides viewers with an opportunity to bond with the brand. This ultimately gives them a leg up on the competition, as a sense of empathy often goes a long way when it comes to influencing a consumer's preferences. Although it's obvious to today's trained consumer that Purina's Puppy Chow brand is behind the video, the product placement is so subtle that it's not bothersome at all. Video marketers, take note. Create stories that show your product or service in the context of an average customer's daily life without making it feel like an ad. That way, the video gets its point across and moves the marketing needle while still delighting viewers. In this video marketing series, Facebook presents 12 different functions of the platform as they relate to real-life user scenarios, such as the need to turn notifications off, add a friend to a group, unfollow your oversharing friend, or use a sticker to express feelings that don't quite translate into words (explained in the video above). While the tutorials are tied directly to Facebook's product, they're not pitchy. 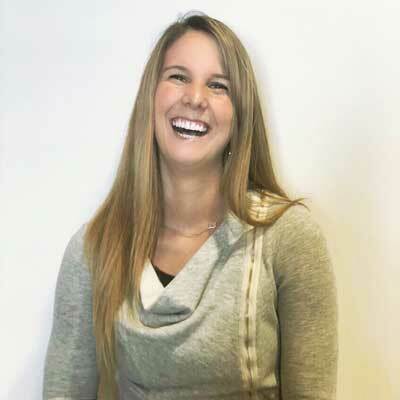 Instead, they aim to provide answers to users’ most common questions in an entertaining and lighthearted way. It doesn't hurt that they're also simple to follow and clock in at only 20 seconds long. Understand your audience's needs better than anyone else, and play to them in your videos. In addition, don't mistake "longer" for "better" -- if your message can be expressed in just a few seconds, don't drag out the length of your video unnecessarily. Intel's five-part "Meet the Makers" series looks more like the inspirational, uplifting stories you see on the news rather than videos created by a brand. Each video profiles a person around the world who uses Intel products to create amazing experiences and new technology. In this video, for example, a 13-year-old named Shubham Banerjee tells the story of how he used Intel's technology to prototype and build an affordable braille printer to help more people who are blind read. The common denominator? The folks in these videos use technology to help people and make the world a better and more interesting place. By providing viewers with an inspirational look at how technology is changing our experiences, they were able to drum up interest in a way that a traditional, product-centric advertisement couldn't. Think in terms of macro and micro in your video marketing. Evaluate the macro effect that your product or service is having on your industry or the world as a whole, and then hone in on someone's micro experience to deliver a relatable and compelling story. Artifact Uprising is a company that helps you create custom photo books, albums, cards, and print photos. As you can imagine, there's a lot of special meaning and emotion connected to each book -- and that kind of emotion is hard to capture with just words. That's exactly why Artifact Uprising creates videos like this one: to showcase some of those touching, individual stories. In this case, it's an elderly man who created a photo book to leave his children and grandchildren as part of his legacy. At one point, the man is moved to tears as he reads the book, saying, "I haven't read it [in] a while." Find out how people are using your product or service to better their lives, and share their inspiring stories with the world through video. They'll do a much better job of advocating for your product or service's value than a piece of purely fact-based marketing content ever could. This emotional account of Saroo Brierley's journey to trace back his original roots after a tragic separation from his family is nothing short of powerful. By inserting their product into a story of loss, love, and restoration, Google Earth was successful in positioning its capabilities as life-changing -- but it doesn’t feel too showy. The video makes you feel that Google Earth isn't out to make money, but rather, they're out to build a service to improve the lives of their users. Again, appeal to emotion. While you don't want to abuse this approach, emotion is an incredibly powerful driver that can influence the way people act and respond to your product or service. Video can do wonders to increase content engagement and clickthrough rates -- but we know that actually making videos can be intimidating. 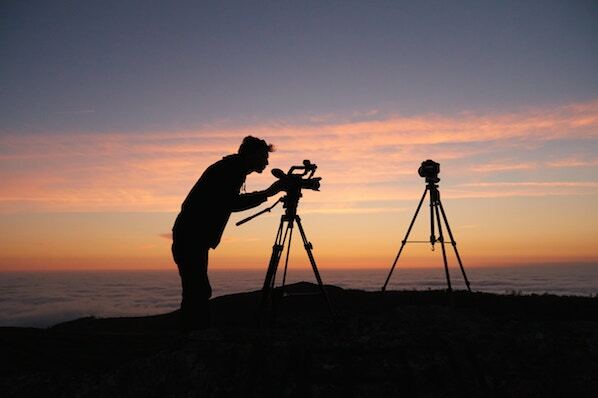 Many marketers get paralyzed by the "no time, too hard" fallacy of creating video content. Want more visual content tips? Check out these stunning visual storytelling examples.